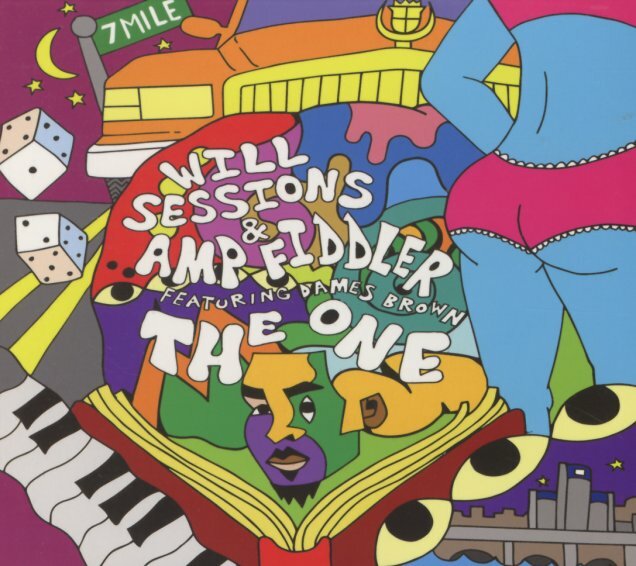 The funky Will Sessions groove gets some great electric help from Amp Fiddler – and this time around, there's also chorus vocals from the soulful Dames Brown trio! Fiddler handles most of the lead lyrics, and also plays plenty of keyboards – as you'll know from his own work – while Will Sessions holds down the rest of the instrumentation in a flurry of tight drums, riffing guitar, and mighty nice horns – plus lots more Fender Rhodes and other keys from group leader Sam Beaubein! The Dames seem to make Amp Fiddler's vocals really sound even richer than usual – almost as if they're egging him on to become the kind of soul singer we always heard in his promise. Titles include "What It Is", "Belle Isle Drive", "Rendezvous", "Seven Mile", "Reconcile", "Who I Am", "Lost Without You", and "Reminiscin". © 1996-2019, Dusty Groove, Inc.